You might have experienced this.. You are planning the perfect dive and to optimize time at depth you have planned exactly what Enriched Air mix that you need..
Once you get on the boat and analyze the tank, the mix is not what you expected. This is partly the reason why dive operations need trained gas blender. During the 1 day it takes the SSI Gas Blender Course teaches you how to safely mix Enriched Air Nitrox using a Digital Blending Utility and why the Oxygen Clean Standard is so important in certain blending procedures. There is plenty of self study on the gas blender course as there is a lot of area’s that you will cover as well as Trimix Blending and rolling tanks to insure a successful mix. Usually the theory will take a half day. This course covers how a compressor works, how to fill a tank with enriched air using different methods of enriching the mix and touching on oxygen cleaning. This course is valuable to technical instructors or any SSI Instructor for that matter want to blend their own tanks! It is also a great course to gain background informations for teaching Enriched Air Nitrox courses. During this course you’ll also learn how to use the software that can calculate how much O2 needs to be added to make a blend, without trying to remember your formula’s. A very interesting course that covers how a scuba tank looks in the inside and what it’s subjected to! You will never look at a scuba tank the same way again! Number of dives: For the SSI Gas Blender Extended Range SSI XR | Nitrox/ Trimix course we don't dive. 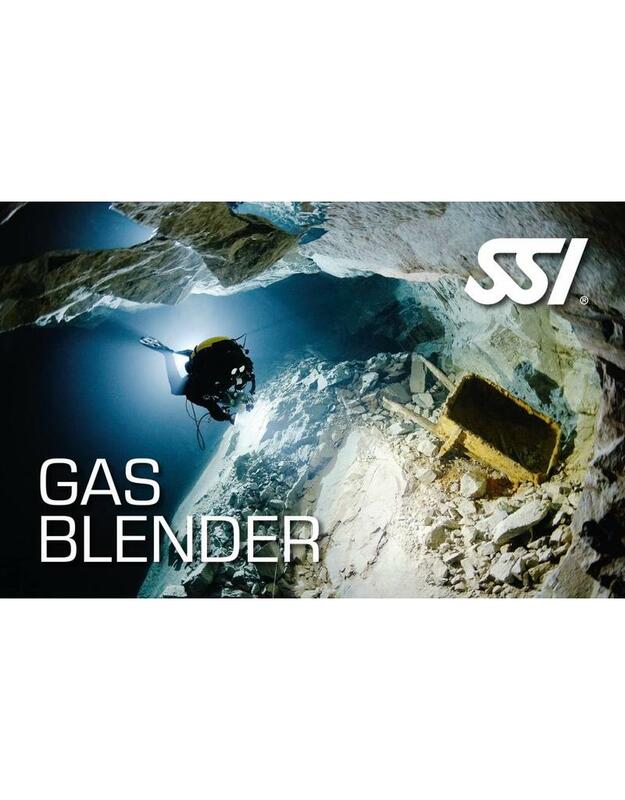 The SSI Gas Blender Extended Range SSI XR | Nitrox/ Trimix course can be followed at our diving school in Vinkeveen and Almere 7 days a week between 09:00 and 23:00 h. Call or email us directly to record your date or book directly online and we will contact you. to make an appointment when it suits you! Diving equipment: During the SSI Gas Blender Extended Range SSI XR | Nitrox/ Trimix course you use Your own diving equipment or You can rent the necessary diving equipment with us!